There are many ways to be involved in the life of our parish. A few such ways are listed below. All are welcome to inquire about getting involved. The Altar Guild is charged with caring for the vessels and vestments used in worship. O GOD, who of old didst give the Levites the charge of the instruments of thy holy temple; Give thy grace, we beseech thee, to the Sacristans of thy Church, that devoutly caring for the vessels and vestments of thy worship, and adoring the place of thy sanctuary, they may make the place of thy presence glorious; through Jesus Christ our Lord. Amen. The Flower Guild arranges flowers to adorn the altar, and also helps in decorating the church at special times of the year. Ushers serve the parish by welcoming us to services, distributing bulletins, restocking pew-backs, and collecting the offering. 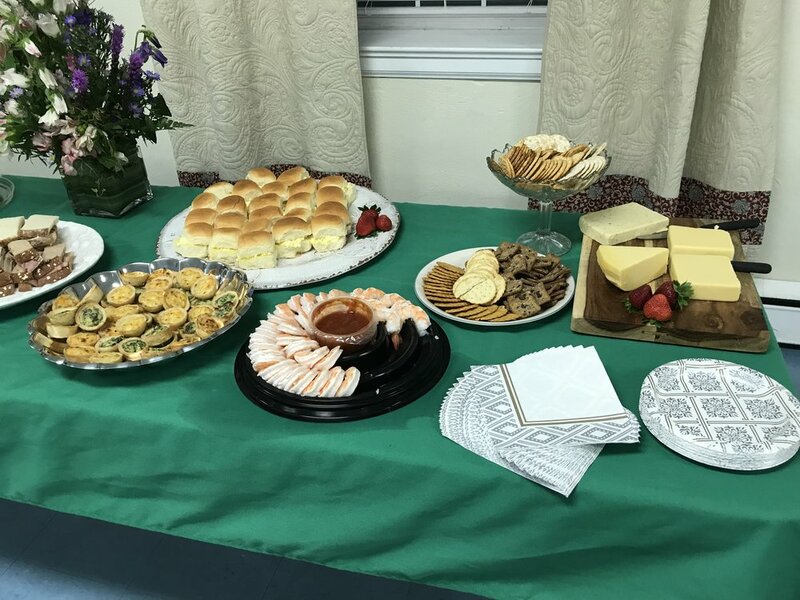 Members of our parish hospitality guild organize special receptions, meals, and Sunday coffee hour. The Acolytes (seminarians and boys) of our parish assist the priest in divine worship by carrying the processional cross, torches, and assisting at the altar. O GLORIOUS King, before whose heavenly throne the angels stand to do thy will; Bless, we beseech thee, the Acolytes of thy Church, that ministering before thine earthly throne they may serve thee with reverence and holiness, to the honor and glory of thy Name; through Jesus Christ our Lord. Amen. Parish work days are an opportunity to lend a hand gardening, cleaning, painting, or being “handy” in a variety of ways. Work days are scheduled throughout the year and provide friends and members with an opportunity to contribute to the beautification of the church.